Chester often attracts the nickname of ‘Europe’s prettiest City’. 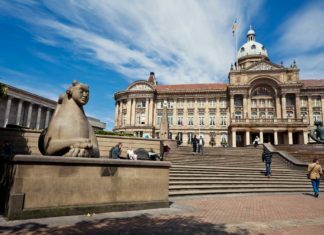 The city is filled with quaint cobbled streets, towering Tudor houses and fortified Roman architecture. 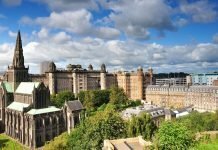 Close to the wild North Wales coast, Chester’s layered history is peeled back layer by layer as you explore one of the oldest cities in the UK. Check out our guide to Chester. 1) That Chester FC football stadium is situated on a national border? The football club offices and car park are in England, but the pitch is actually in Wales! 2) The most famous spy in the world was born here! OK, so not James Bond himself but Daniel Craig (the most recent and in our humble opinion the most daring Bond) was born in Chester. 3) There are a few strange bylaws still knocking about the UK. One of which states that if a Welshman is found wandering within city walls after nightfall, they can legally be shot with a bow and arrow. 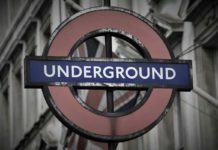 This bylaw dates back to the Tudor times and, as far as we know, has never been exercised. 4) Chester is home to the best surviving Roman fortress. Apart from a small section, the Grade 1 listed walls are immaculately intact despite dating all the way back to 79 AD. 5) The UK’s largest Roman amphitheatre with a seating capacity of 7000 spectators is located in Chester. Follow in the footsteps of Roman soldiers and pass beneath medieval towers and gates of this city, which is enclosed in walls built by the Romans in 79 AD, before stopping by the Eastgate Clock. It is the second most photographed clock in the UK, with Big Ben being the most photographed. You’ll also pass by the remnants of the Roman amphitheatre and fragments from the old Roman Baths nestled in the Roman Gardens. 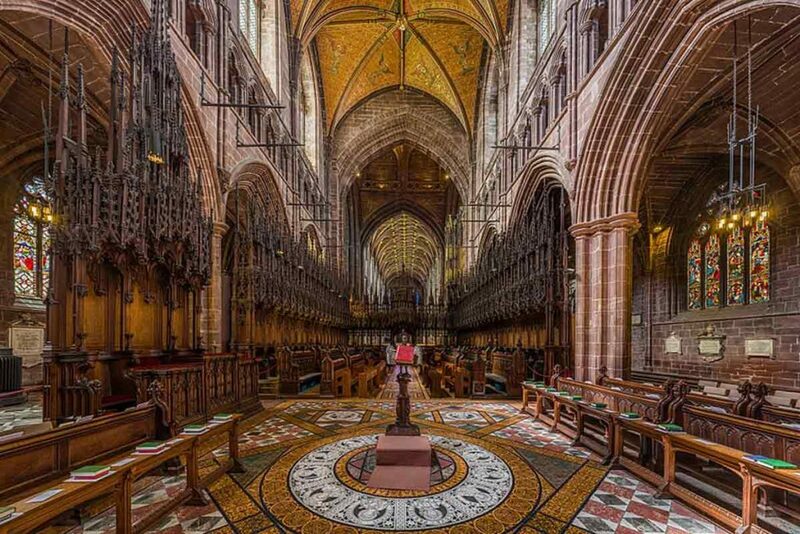 One of Chester’s most elaborate and imposing buildings is Chester Cathedral. 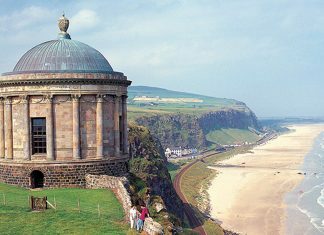 Climb to the top of the bell chamber for incredible panoramic views. Or take the steep stairs up to the cathedral galleries. Make sure to pop in to the 13th Century Monks Hall for afternoon tea in unique surroundings. Fancy a flutter? Combine your trip to Chester with one of the exhilarating race days. Chester racecourse is the nation’s oldest active sports venue dating back to the early 16th century. 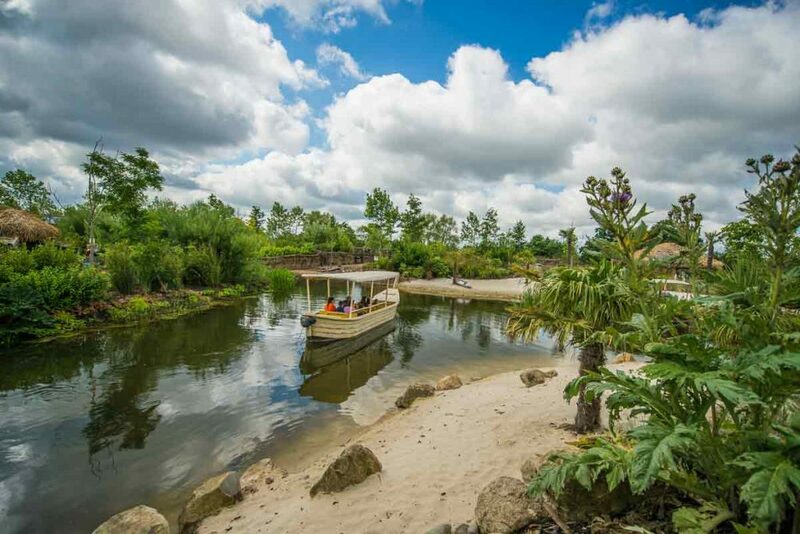 If that’s not your scene but you do love animals then pend the day at the zoo to fool around with the cheeky monkeys or take it easy with a Lazy River Boat Trip. Ranked as the most visited animal attraction in the UK, Chester Zoo is home to over 21,000 endangered and exotic animals set in beautiful, manicured gardens. The old school, no fuss approach to pub grub is what makes The Albion Inn one of the best pubs in Chester. Pair a pint of ale with platefuls of gammon and pease pudding or a hearty portion of lamb’s liver, bacon and onion. Foodies will have to snag reservations at The Chef’s Table. Voted the best restaurant in the country and proudly boasting a Michelin star (a very high restaurant prestige), the cosy bistro changes its menu daily. And guess what? It is surprisingly wallet-friendly. Milkshake-specialist Funky Cow serves over 160 flavours of milkshake, from Bueno and Kit-Kat to mince pies and Frazzles crisps! Indulge yourself in some of the most creative blends. 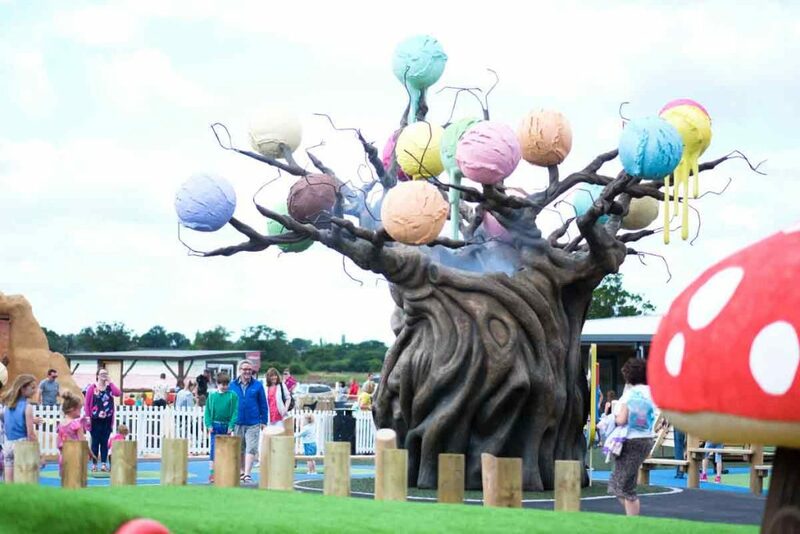 And if you’re on the hunt for the perfect dessert then head to The Ice Cream Farm. It has one of the largest ice cream parlours in the world with over 50 award-winning ice cream flavours to try. Our favourite is the sticky toffee pudding ice cream, but the honeycomb paired with chocolate brownie comes a close second! 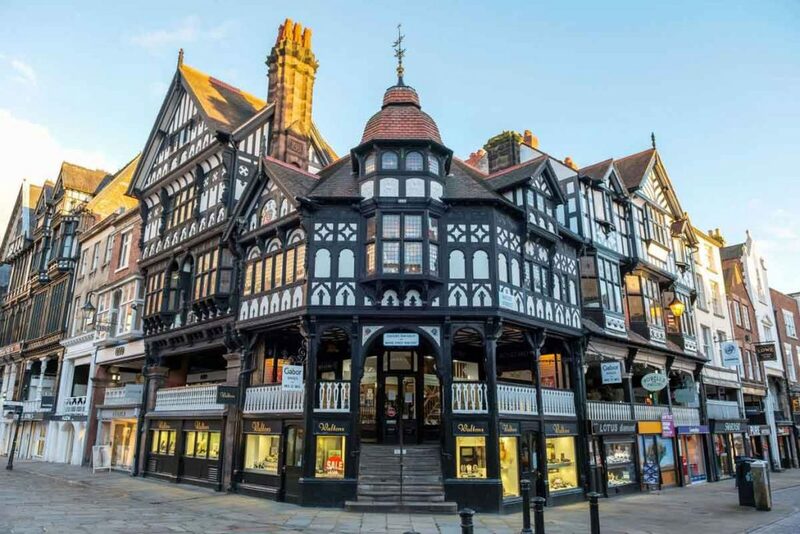 Whether you’re a shopaholic or a history buff, no visit to Chester is complete without browsing “the Rows”. The two-tiered store dates back to medieval times and is the oldest shopping façade in England and it used to be home to shoemakers and ironmongers, but now house to a variety of high street and designer stores. The Hollies Farm Shop is one of the best in the North West due to their huge selection of local, Cheshire produce. Having started as a humble fruit and veg market stall, it now consists of butchers, green grocers, bakery and delicatessen. Be sure to sample some of their White Cheshire cheese. And don’t leave without picking up some of their award-winning, homemade meat pies! Cheshire Oaks designer outlet is just a short journey outside of the main town. It is the largest designer outlet in the UK with over 145 boutiques. Unleash your inner diva and browse the collections at Burberry, Gucci and Ralph Lauren – all at ridiculously low prices.